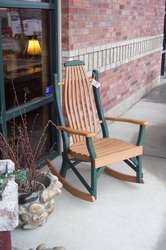 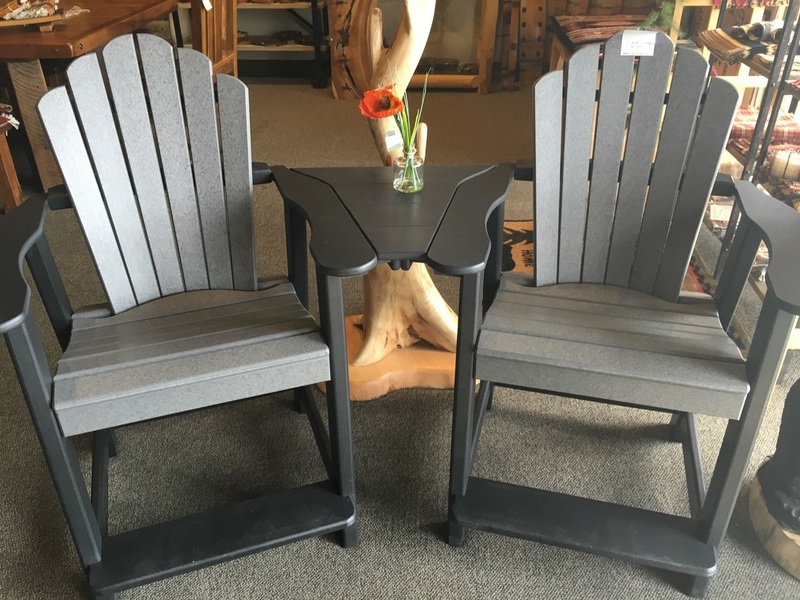 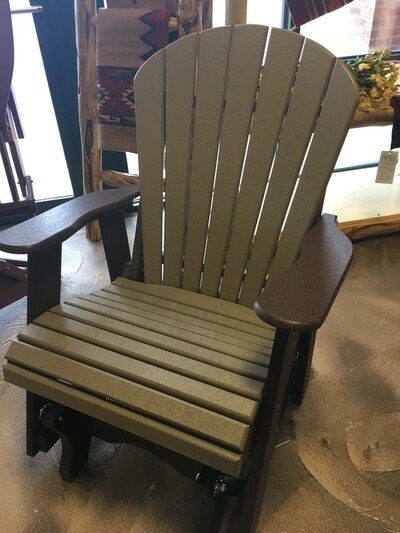 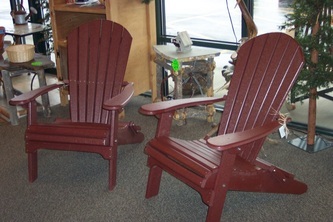 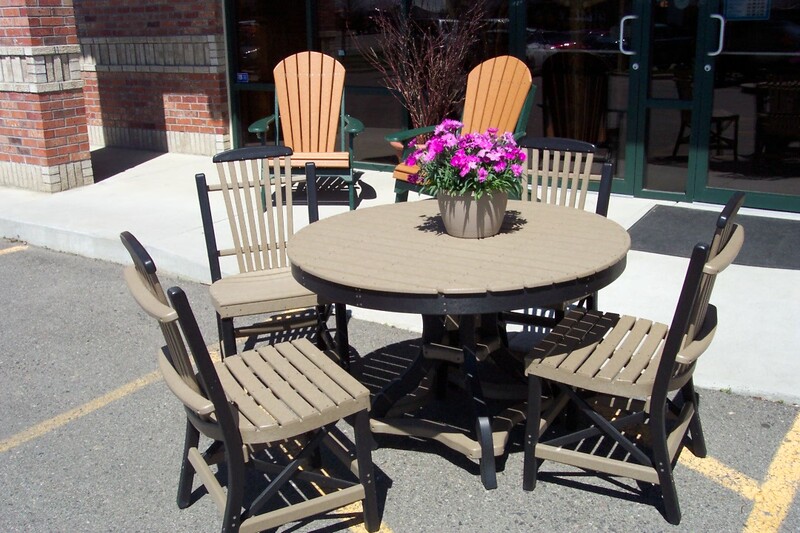 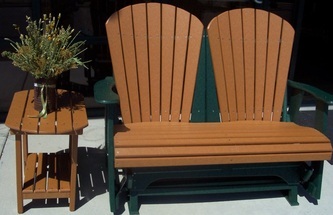 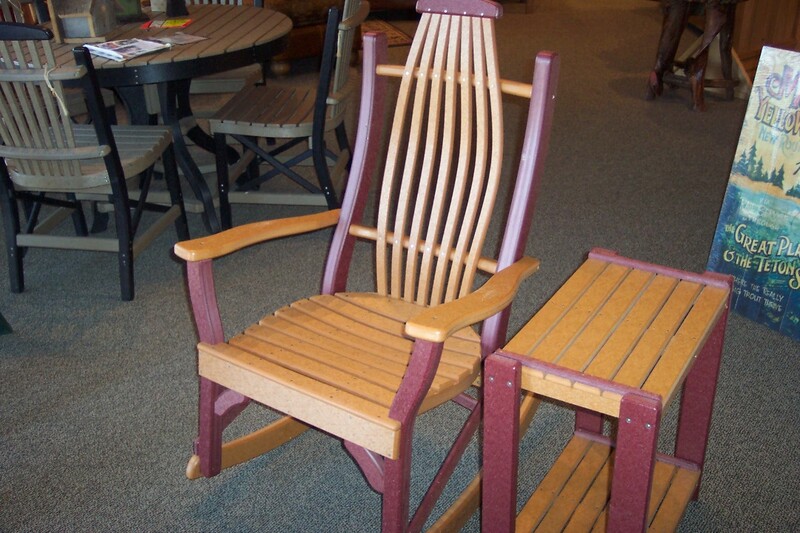 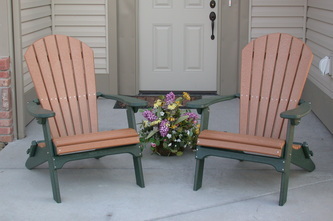 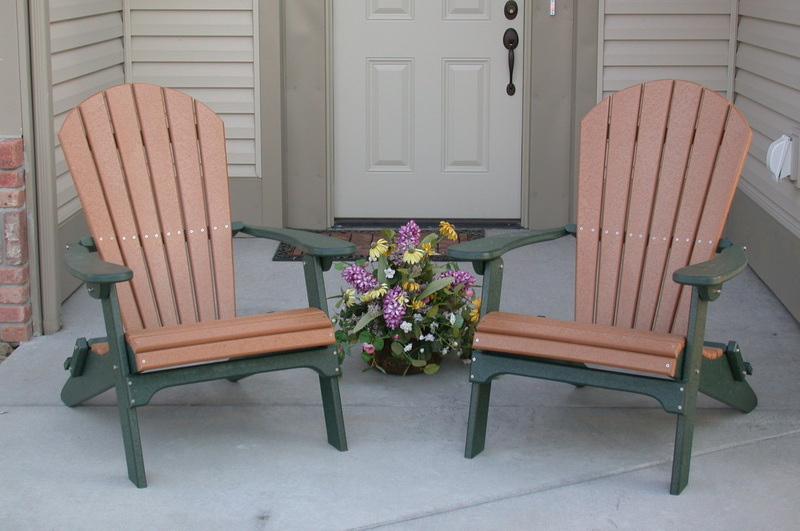 Our patio furniture is made out of 100% recycled poly lumber, all weather resistant, and comes in a variety of colors and styles. 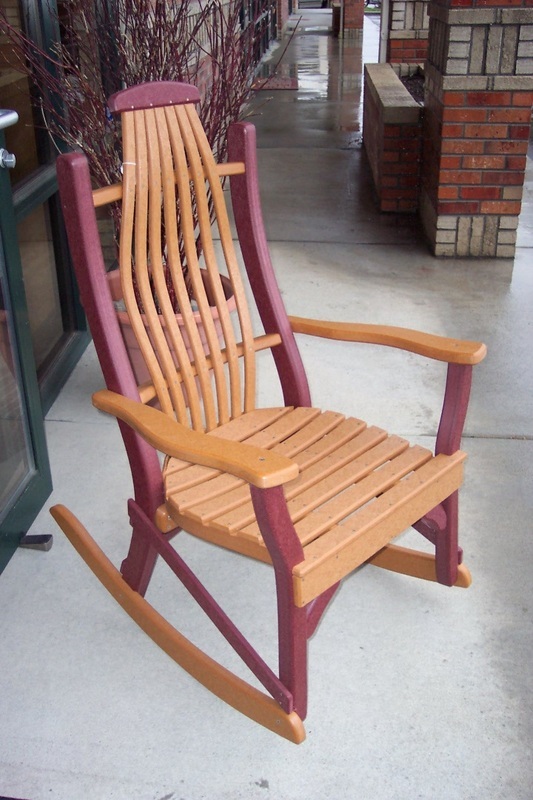 USA made! 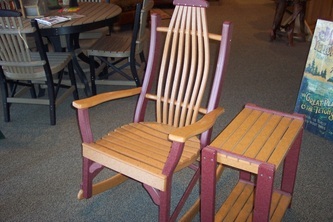 Please feel free to contact us for dimensions and pricing!